Weddings and wedding planning can take an emotional toll on everyone involved. This is supposed to be the time of your life; however, beware that this can also be a time of hurt feelings, highly charged emotions, and frazzled nerves. 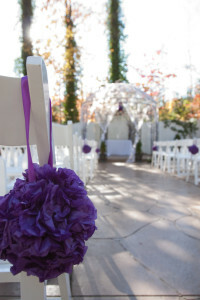 Many times, families and friends have their own opinions of how or what should or should not happen at your wedding. Feelings are hurt if you are not able to include them in your wedding or someone exercises their opinions too much and starts to step on toes. Focus on your and your fiancé; what you do and don’t want, what you can or cannot afford, who you choose to be in your wedding/reception, etc…Remember to stay focused on the end result of being married – “the wedding is the party, but it’s the marriage that counts”. Never allow your wedding to become an imposition – stay focused and driven towards your goal of being married and don’t ever forget: Enjoy Your Wedding Day and Have a Blast!! !